It has not always been a well known destination though, in fact it remained hidden from most of the world for more than a thousand years until Johann Ludwig Burckhardt, a Swiss explorer, disguised himself as an Arab scholar and entered the city in 1812. Other western explorers followed in his footsteps. 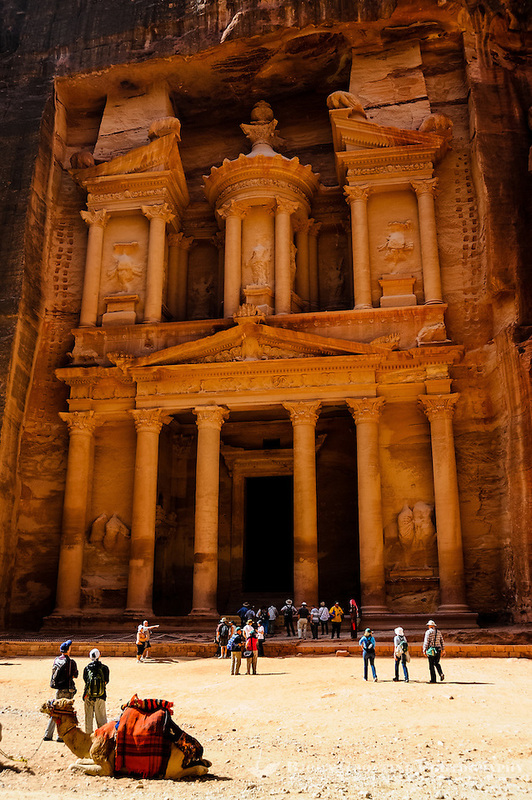 From around 312 BC Petra was the capital of the Nabataean kingdom before it was occupied by the Roman Empire in AD 106. Several structures are from the Roman era. 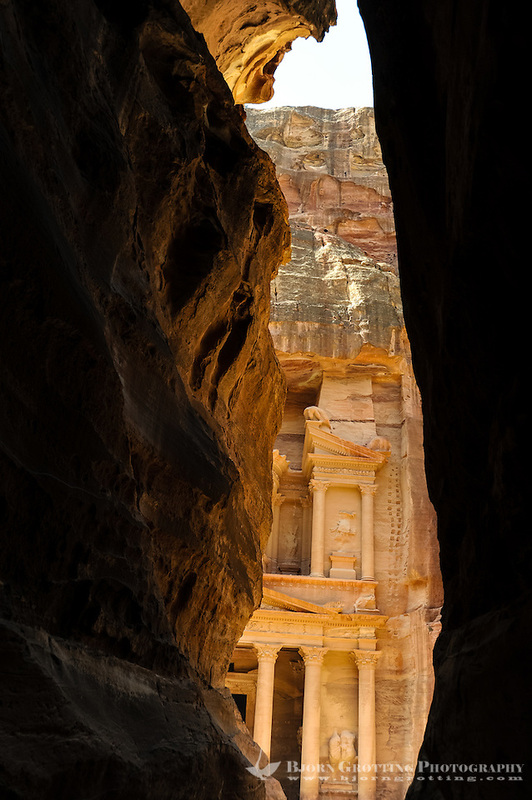 As an important trade and commerce center Petra continued to grow until an earthquake put it in ruins around AD 663. 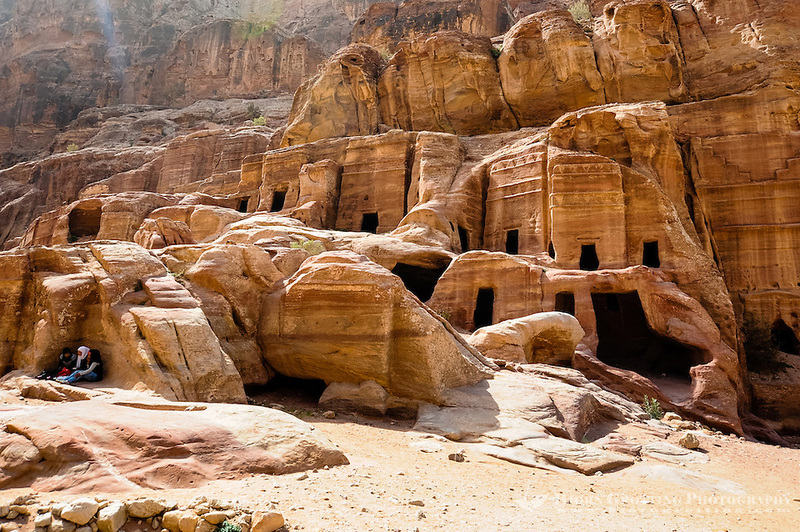 Petra was abandoned after Saladin conquered the Middle East in 1189, and it became a forgotten city. The main entrance to the ancient city is from the east through al-Siq. dark, This is an impressing, narrow gorge only 3–4 m wide and 182 m high at some places. The gorge was formed from a split in the sandstone rocks, and also served as a waterway. 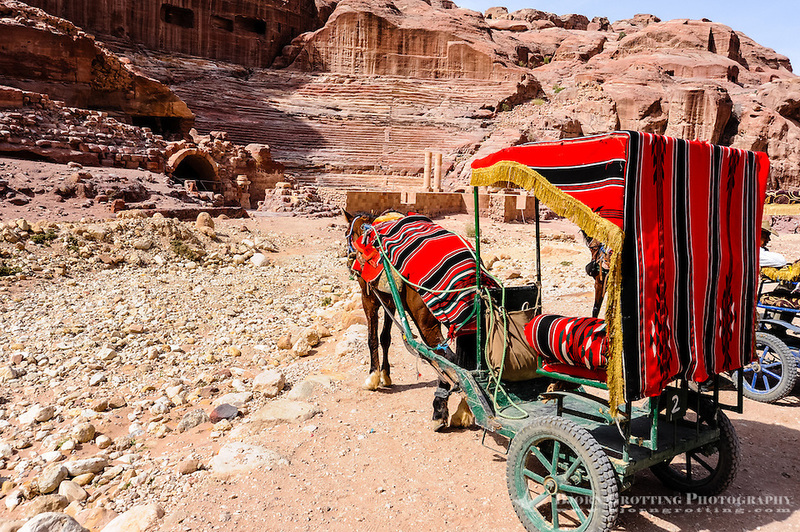 Transport through al-Siq and Petra is normally done by foot, but you can also hire camel, donkey, or horse. 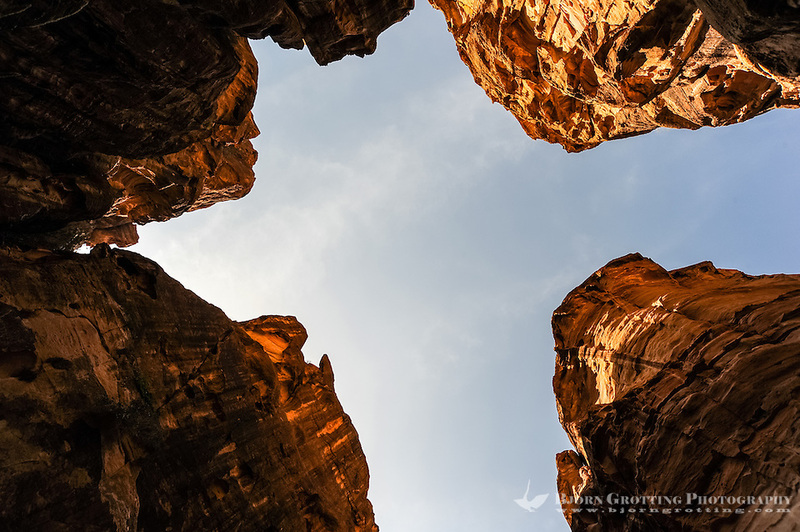 Coming out of this gorge you will be met by the most famous sights of all in Petra; the Al Khazneh, also known as “the Treasury”. 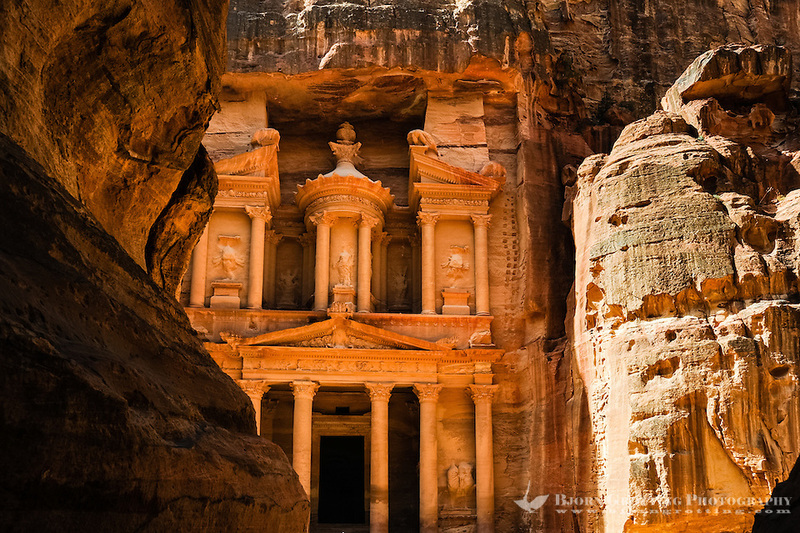 It was carved out of a sandstone rock face somewhere between 100 BC and 200 AD, and the rumors said that the urn atop the structure contains a hidden treasure, hence the name “Treasury”. Bullet marks can actually be seen from where Bedouin travellers have tried to expose the non-existent treasure. It is still not clear what the actual purpose of Al Khazneh has been. The outer Siq or Street of Facades is a continuation of al-Siq. 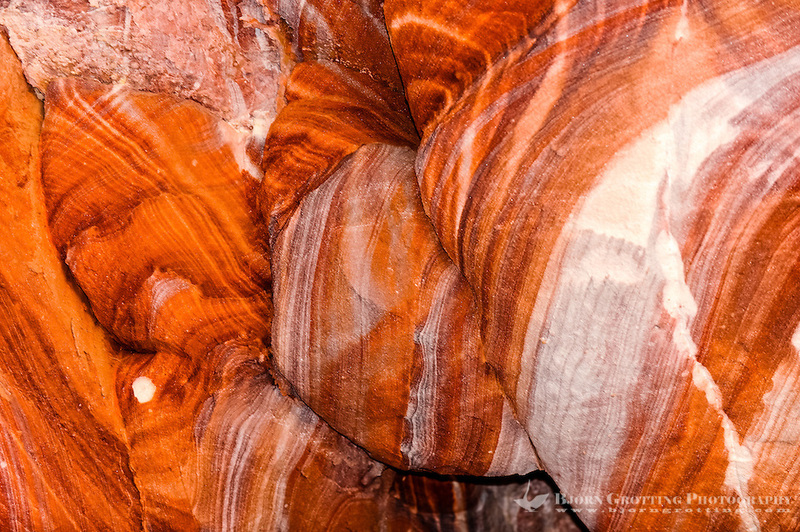 This is a large canyon with tomb facades, all in colourful sandstone. The Street of Facades ends at the Roman Theater. Originally built by the Nabateans but later enlarged by the Romans, the amphitheater could seat up to 7000 people. Opposite the Roman Theater are the Royal Tombs. It is not known for whom the tombs was made, the name was given because of their large size compared to other tombs in the area. Ad-Deir or “The Monastery” IS the largest carved monument in Petra. Like the Treasury it has a small interior compared to the grand facade. There are more than 800 steps to walk up a hill to the Monastery, which can take over an hour. There are today several threats to this archaelogical city, mainly caused by erosion due to flooding and failing drainage, insufficient restoration of the ancient structures and unsustainable tourism. 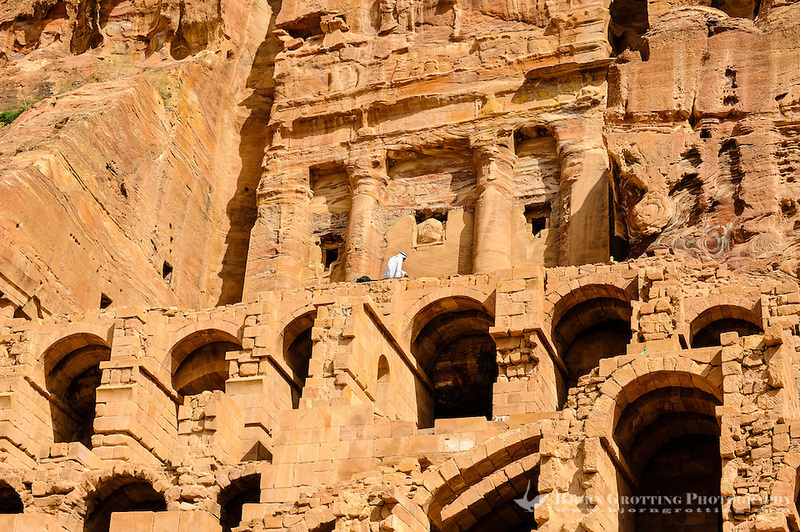 Projects has however been started to help the conservation and preservation of Petra. 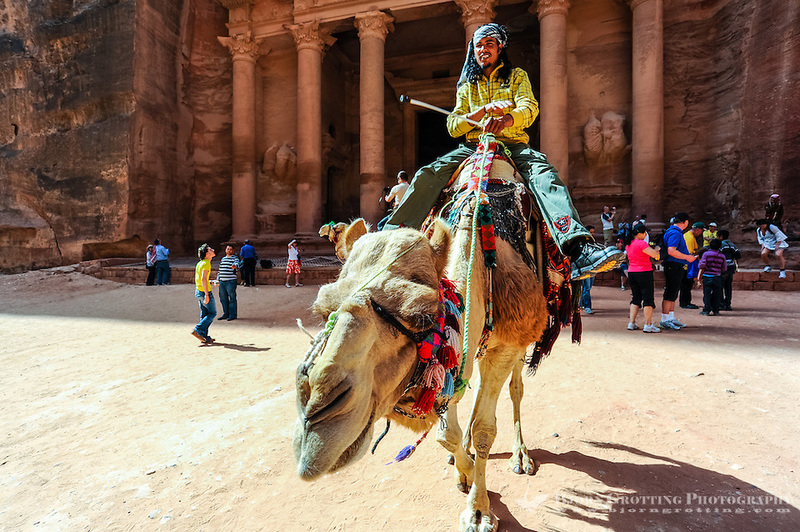 You can see more inages from Petra in the Jordan Photo Gallery.